The Zimbabwe is open for business campaign has been such a major hit on the international arena to date that some Zimbabweans who have invested considerable effort to effect regime change, an exercise that has dismally failed, are seething with anger. 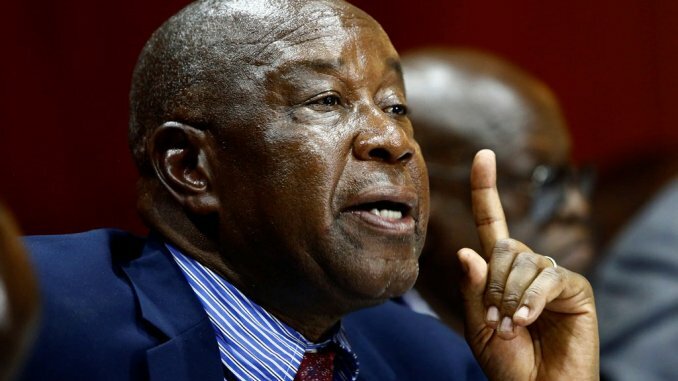 Ambassador Christopher Mutsvangwa says it is not surprising that those behind the unsuccessful agenda are now seeking to pour scorn on any efforts by government to improve the country’s economic fortunes. Zimbabwe is participating at the World Economic Forum (WEF) in Davos, Switzerland for the second year running following the phenomenal success of the country’s first appearance in 2018. President Emmerson Mnangagwa skipped the event to prioritise pressing economic developments at home but put his faith in Finance and Economic Development Minister, who is also the Acting Foreign Affairs and International Trade Minister Professor Mthuli Ncube, to lead Zimbabwe’s campaign there. The international community’s thirst to invest in Zimbabwe has largely remained unquenched with global media houses seeking out Professor Ncube for interviews to keep themselves abreast with economic developments in Zimbabwe. Ambassador Mutsvangwa said this has not gone down well with the opposition MDC Alliance with one of its principals Welshman Ncube instead going on a rant in the hope of gratifying their regime change project. The WEF, the marquee global business showcase, brings together the world’s who is who in business and national leaders, to market their economic policies to the world.